I met a bunch of great people through the Duke Fishing Club, one of whom was Jerry Li. Jerry just straight up loves to fish, and when he expressed interest in kayak fishing I was happy to take him. It was late November, and although the water temps were cooling down, the air temps were still pretty friendly. We decided to hit the Haw River for a few hours to see if we could hook a few fish. In my original blog post about the day (seen here), I wrote about it being a "bad, good day", meaning that we caught a decent number of fish and some big fish, but we lost a few that would have made it incredible. Still, my biggest was over 6 lbs, and Jerry snapped a couple sweet shots of the fish before I let her go. 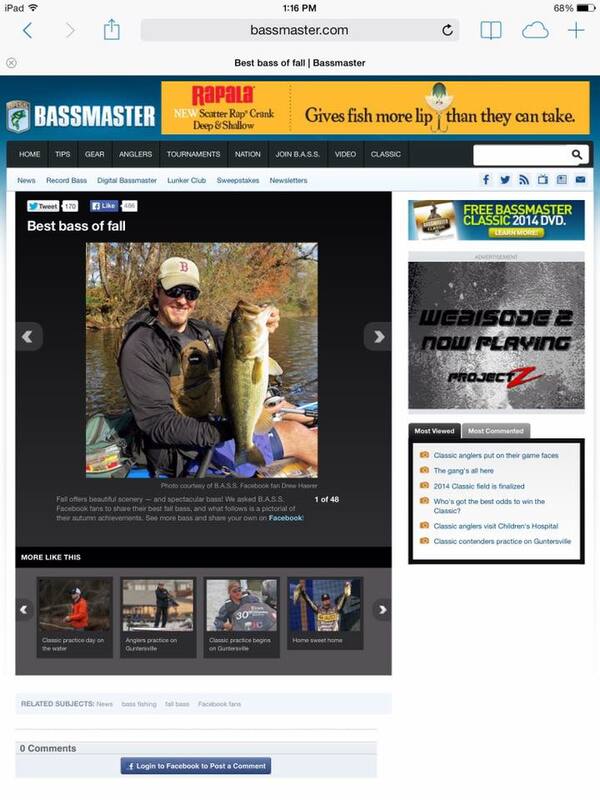 Shortly later, I submitted the photo to Bassmaster. 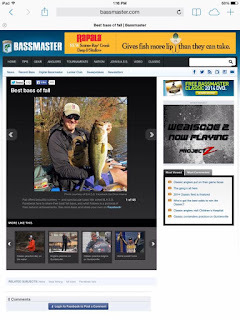 A few months later I found out that it was chosen as the cover photo for the "Best bass of fall", which was an awesome feeling! Also, I didn't mention in the original blog that Jerry fell in near the start of the day. He was standing and fishing from the kayak when the wind blew the back of the boat into a boulder. The collision was enough to knock him off balance and into the water. Thankfully, I had some extra clothes, and we both laughed it off. It didn't deter him from kayak fishing either, as the next time we fished together, he was showing off his new Wilderness Systems Ride 115. I can't believe the fall bite is almost upon us! Tight lines! Your videos always make me contented. Today's video is also mind blowing,love to see your fishing tour along with your friends.